Agricultural fencing comes in a variety of forms. It is designed for easy installation and maintenance. It is also economical so that it can be used around very large fields. Choosing the right type of agricultural fencing involves balancing the features of the fencing with the cost. Property owners must also consider what livestock or wild animals will need to be controlled by the fencing. A handful of agricultural fencing options have become very popular over the last few decades. 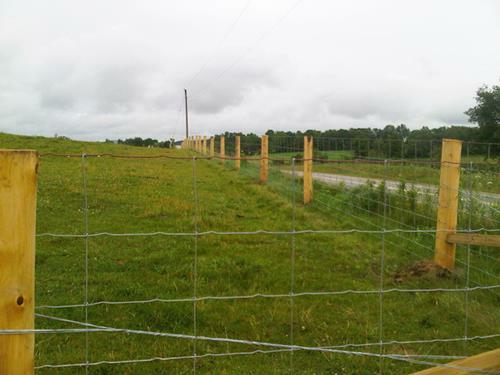 Smooth wire fencing is a very common choice for a variety of different applications. This type of fencing is made from straight wires that are stretched with high tension between posts. The wire is inexpensive, lasts for a long time and is easy to repair and maintain. It is useful for marking property boundaries. It is also effective when used to contain larger docile animals like cattle. Smooth wire fencing is not good for keeping wildlife and predators out of a field although they are appropriate for properties where animals are allowed to pass through the fence. The smooth metal will not harm animals moving between the wires. 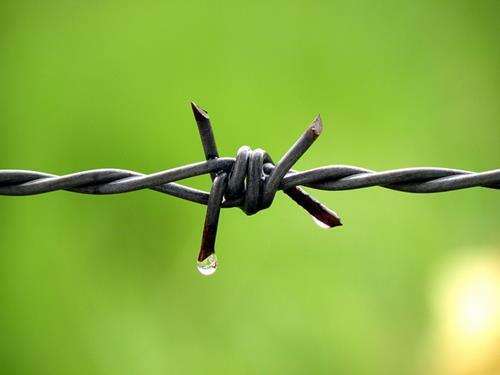 Barbed wire fencing is a variation on smooth wire fencing. Barbed wire has small metal spikes spaced evenly along the line. Barbed wire is frequently used to contain cattle and sheep. Large animals that brush against the wire will naturally recoil and will not pass through the area. Animals like goats and deer that can jump will be able to cross the fence. This type of fencing is not recommended for use around horses because coming into light contact with the barbs could cause cuts and injuries that can become infected. Field fencing or woven fencing is different from the wire options. This type of fencing is made from horizontal and vertical metal wires that are woven, knotted or welded together. The result is a grid-like fence that is often sold in rolls or panels. The fencing requires more beams than wire options. This fencing can effectively hold goats, pigs and sheep. It is also effective at stopping most predators like wolves from entering a field. The size of the square openings between the wires on the fence has to be examined carefully if the fencing will be used to hold livestock. Overly large openings could allow an animal like a horse to become tangled in the fencing causing injuries. This is a very effective way to stop deer when the fencing is stacked high enough. Although woven fencing is very effective, it also tends to be more expensive than simple wire fences. 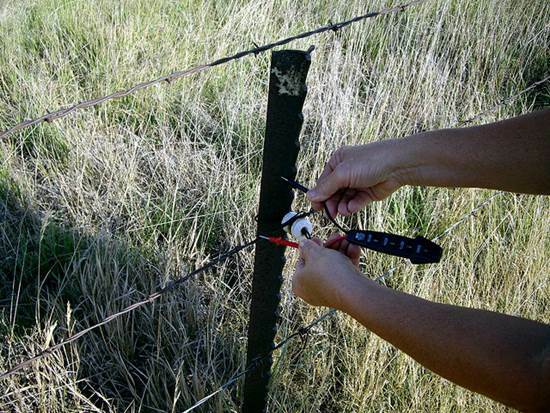 One option that many farmers and ranchers choose is the addition of electrical agricultural fencing. There are electrical systems available that will work with existing wires and others that require a special wire to be stretched between posts. 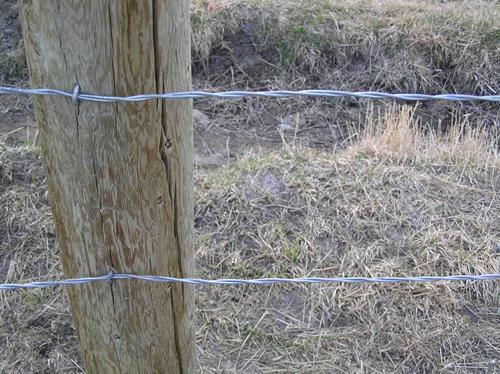 The addition of electrical fencing helps to deal with livestock like sheep, cattle and horses. It also works to stop many predators and nuisance animals from entering the property. The drawback is that the fence draws power while in operation. 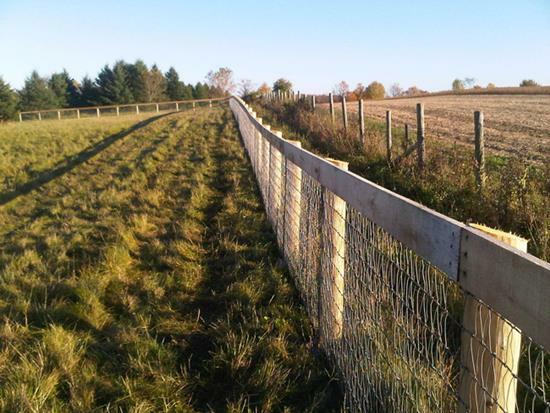 This post was written by Ken Aston, a farmer who used http://www.totalequinefencing.com/ for his fence. So many kinds of fencing to choose from. Thanks for the detailed description of each fence. It makes it easier to choose.